In order to provide utility, there should be a sufficient number of drivers driving around various parts of the city. The more drivers and more driving, the better the coverage. In other words, there can be no value if there is no driver input (ie no mass of drivers in the city using the app). One approach is for drivers within the city fleet vehicles to install and use the Coaster app. Another approach is to promote the usage to citizens of the city in a “Concerned Driver” type of program. City fleet vehicle drivers or Concerned Drivers would use a group identifier assigned to the city. The city traffic engineer(s) would have access to a map of the city showing aggregate data. More detailed instructions are below. 2. 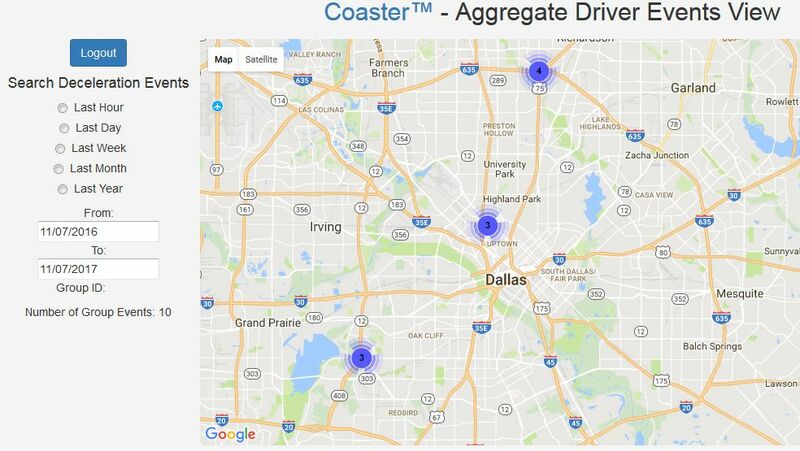 The city fleet vehicle operators and/or Concerned Drivers would be notified of the program and availability of the Coaster app along with the city group identifier (the app is available for those with an Android smartphone with an accelerometer and GPS). 3. 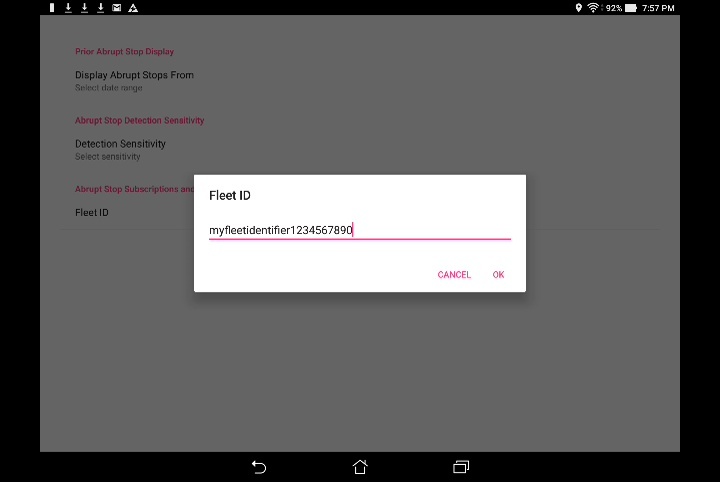 Each driver downloads the app and enters the above selected city group identifier in the Settings screen in the “Fleet ID” field. 1. The city transportation staff would have access to a map showing aggregate data for those contributors to the system (see the sample below). 2. The engineer may select different time filters of driving events. Those with a longer term perspective, such as a Department of Transportation, may view all historical data. Those with a shorter term perspective, such as a police departments, may view near term data. 1. Does the view contain personally identifiable information? No. Currently, each installation of a mobile application has a unique identifier but the app does not request a name or contact information nor does it have permission to access such information from the device. 2. How have other Smarter Cities gained user participation? In Austin, Texas, city employees participated in a bike usage application. In Portland, Oregon, the Department of Transportation ran a “Pothole Palooza” program to entice citizen engagement. We believe that those city fleet users and engaged citizens represent optimum users, but that may take time and effort. Feel free to discuss driver recruitment with us. 3. What incentive is there for a drivers? Besides contributing to the aggregate data for the city, by opting to share their driving events with the city, the driver receives the driving events in the city on their map display as well.